If It's Hip, It's Here (Archives): Archiquarium. 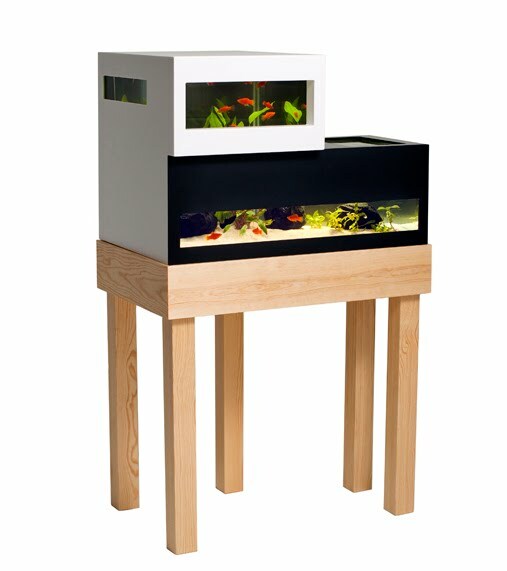 A Modern Swedish Fish Tank By Karl-Oskar Ankarberg. Archiquarium. 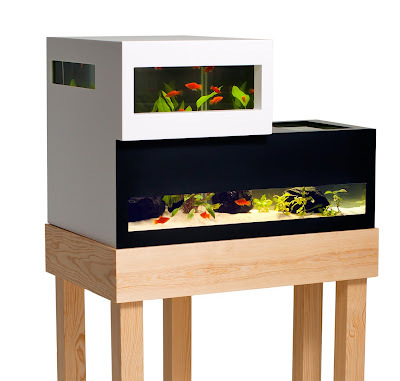 A Modern Swedish Fish Tank By Karl-Oskar Ankarberg. 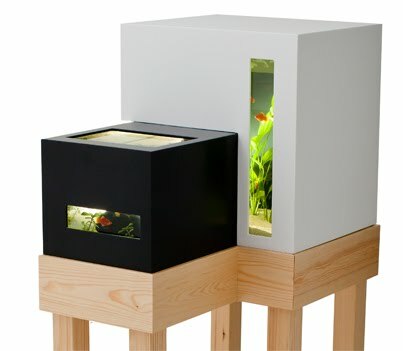 At the Home Fair Exhibition earlier this month in Stockholm, the Swedish Aquarium Leasing (Akvarie leasing) company debuted something very unique - a spectacular modern aquarium, designed by Karl-Oskar Ankarberg, known for his collaborations with Orrefors glassworks. The new aquarium named Archiquarium is something really special for both aquarium and design enthusiasts. 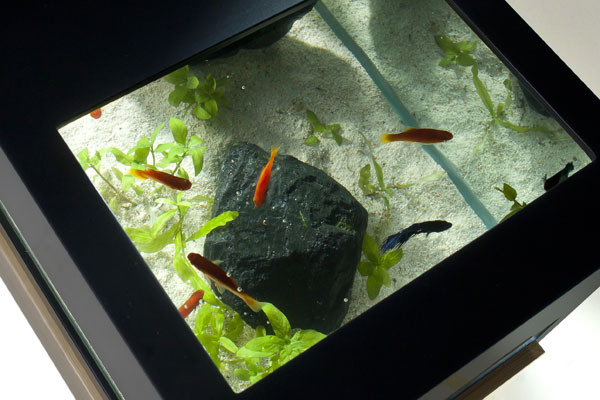 The spectacular aquariums are reminiscent of ultra-modern architecture, rather than traditional aquariums. The clean rectangular shapes and surfaces are hallmarks of modern Scandinavian design. 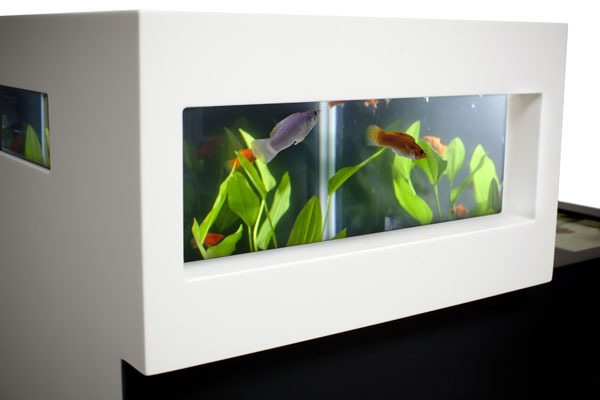 above: the frame is made of solid sawn wood, aquarium glass and Corian®. Archiquarium is the work of increasingly high-profile designer Karl-Oskar Ankarberg. When the sketches were presented to the Aquarium Leasing AB, they quickly decided to go ahead and produce a prototype - which was presented to external design agencies in Karl-Oskar's booth No. AO4: 53 on the Home Fair, 7-10 October. Aquarium Leasing AB leases and operates aquariums in over 2000 workplaces in industry and public sectors so that people can enjoy the serene spectacle that is the aquarium's signature. The company is based in Stockholm, Gothenburg, Malmo and Copenhagen. pretty cool, not that practical for an aquarium, but still cool looking. 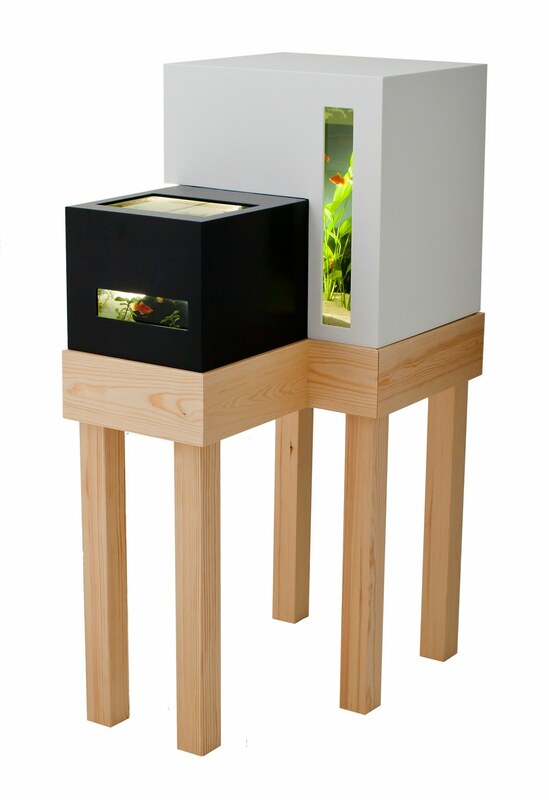 Great design for an aquarium.